I won't show you pictures of my decimated basil plant, but I do have a few things that are working. The wet, mild and humid weather here in the Pacific Northwest has been perfect for growing SLUGS!! bah! 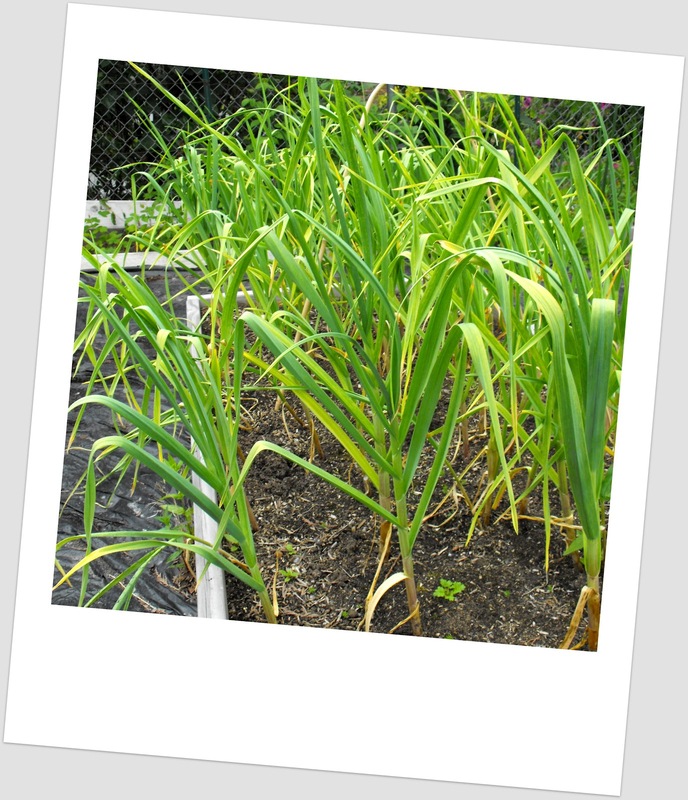 The hard neck garlic still has some greenery but if we get a touch of warmer weather, I might be able to harvest during summer (if we get a summer). By the time this is posted, I'm quite hopeful I'll have picked my snow peas and frozen them for future use. The few seeds I sowed in February of this year have done quite well. 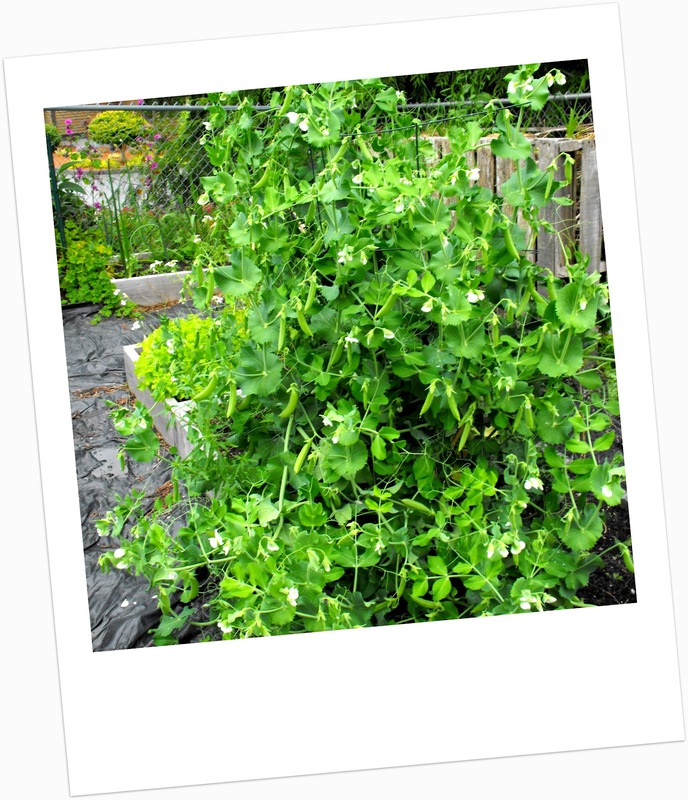 Loose leaf lettuce is behind the snow peas and the in small box behind that, buttercups threaten to overtake the Walla Walla sweet onions that are probably now (after sitting a year) ready to pluck. All seeds are from my favorite NW seed company, Territorial Seeds. At the writing of this post, I have harvested about 30 lbs. I hope to double that by seasons end. Last year I had over 60lbs. 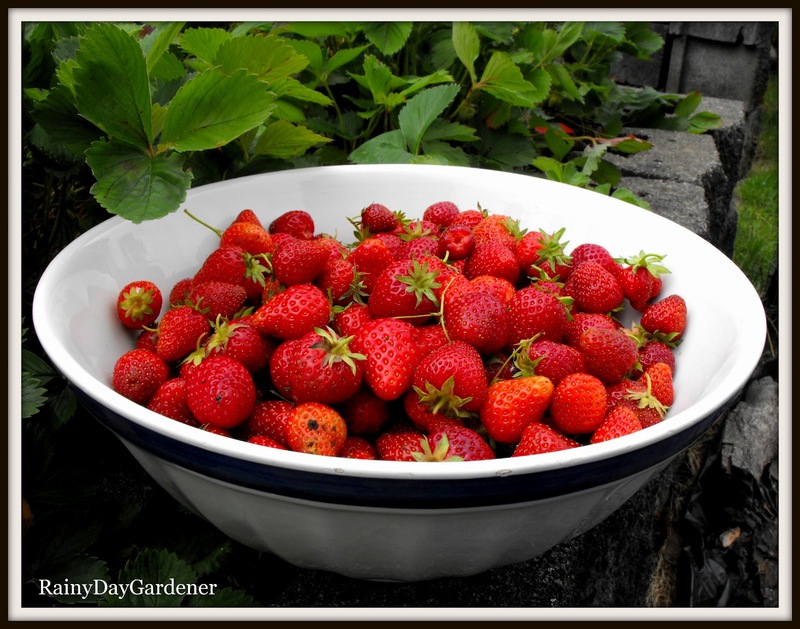 If you'd like to learn more about how I manage my strawberry beds, you can read here. While I usually include my lavender in flower related posts, the reality is that I use my lavender for practical household purposes. I love to make sachets with them. This year I hope to expand my use and include some in soaps. 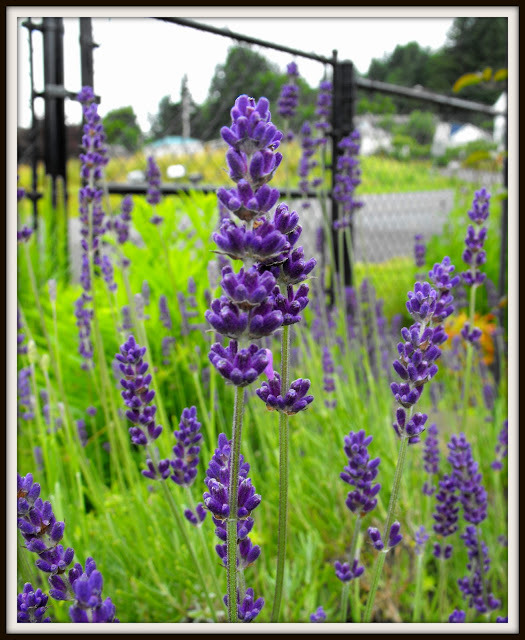 I've been inspired by a wonderful blogger on lavender soap making. My gardens in Rainier will soon be done. I think back to all that I've learned and accomplished in my time here. I had never had my own vegetable garden before we bought this old house, and had not bothered with anything other than a potted tomato since I was a little girl. I plan to use the service Blog2Print and make a book for myself of all my blog posts over the past four years. I will enjoy looking back on my progress and accomplishments as I start a new chapter in my gardening life. I love your book idea, Jenni! As you reflect back on all you've accomplished with your soon to be "old" home & garden, may you enjoy contemplating all the possibilities awaiting you & your family with your new home & garden. I look forward to reading more of your wonderful posts & seeing your beautiful photos as you share your new chapter! I didn't know you could make a book of your blog posts, what a great concept! Your strawberries have inspired me to get a strawberry bed going next year. They look so delicious. We are finally getting some sun and warmth up here, so the tomatoes should really take off. That's such a brilliant idea ... making a book out of all your blog posts. You will have a fabulous record of your achievements. Wishing you all the very best as you finish this part of your gardening life and move on to the next exciting part. BTW, the strawberries looked absolutely delicious! I hope you were supporting Spain in the Euro soccer! Your plants look great despite the rain. Your strawberries look delic and the lavender soap making is a great idea, I have a friend who makes soaps and they're gorgeous. So you're about to be a book author :) We are frustratingly waiting for summer to - our slugs don't seem to mind the cool conditions here. Wish that stupid jet stream would go where it should be! Your garlic looks wonderful, but your strawberries...oh, your strawberries looks absolutely divine!!! I had a look at the Blog2Print concept, but to print out my blogposts would need a HUGE amount of printing, so I dismissed the idea! It sounds as if you are experiencing similar weather conditions to ours. Summer seems to have been completely cancelled this year. Have you considered planting some rice??? Rice..haha! I really should consider it for the future as per certain climatologists, this is our weather of the future. Your peas look so good. So do your strawberries. Please e-mail me or do a post about harvesting lavender and making sachets. I just harvested mine. I hope it was at the right time. I couldn't find a good article on how to do it. That's a bumper harvest of strawberries. I'll definitely try your compost tip next year.